Worried about our process? it's very simple let's come and understand the work flow. If you are not a member then register your details with us. If you are already a member,then login with your details. 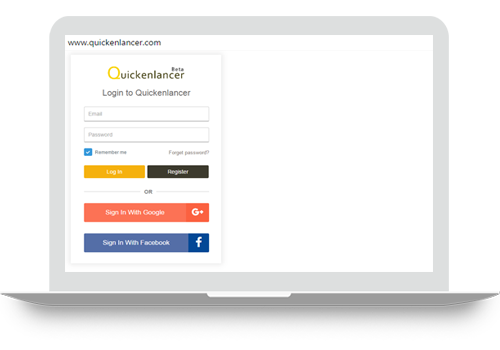 Or Login your account by social sites like Facebook and Google. If you have projects and want them done online by professionals, simply click on Post Projects. simply click on Find Projects. 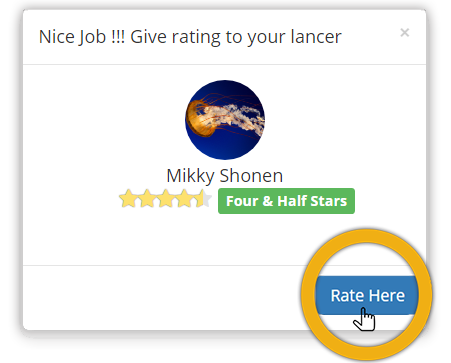 If you haven't posted a project but want to approach a Lancer directly, simply click on Find Lancer. 2. Analyse your project thoroughly and be ready to fill our website options. 3. Select the category your project fits in e.g. (web development, App development, Testing) etc. 4. Be confident on your budget and project completion time. 5. It will be very helpful if you upload important file option in required format. 1. 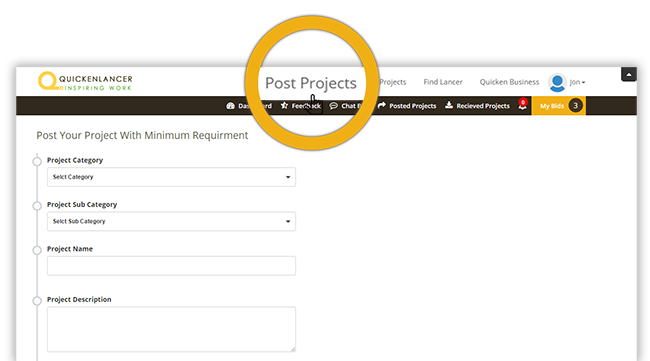 Posted Projects helps you keep the track record of all the projects you have posted. 2. 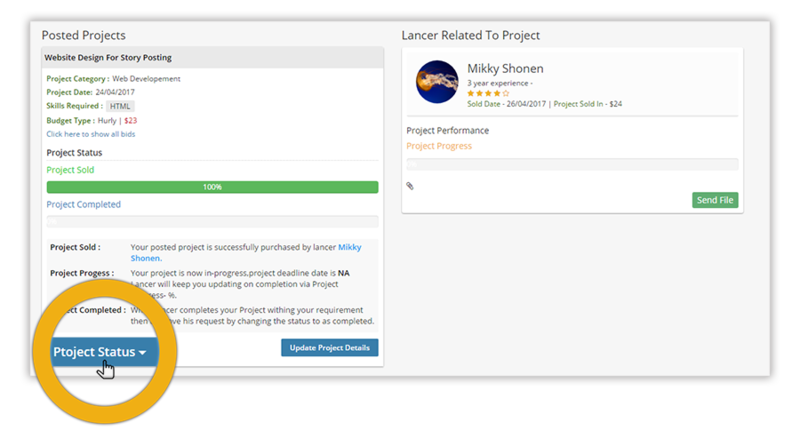 Helps you hire lancer and fix the project deadlines accordingly. 1. Click on Click Here button to see all bids on your project. 2. Thoroughly check and verify the genuine bid among all. 1. 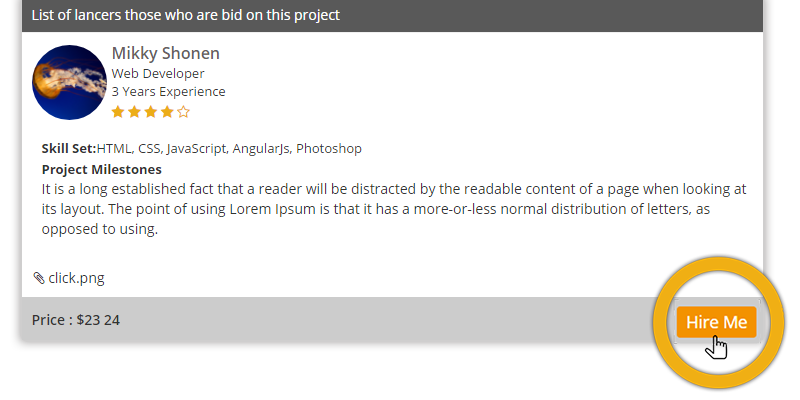 Once lancer is selected after bidding send a request clicking on Hire Me button. 2. Finally wait for his acceptance and proceed with your project. 1. Once you finalise the project after successful bid, this option summarizes your entire process. 2. It's keeps you updated with the project completion deadlines. 3. After completion of project, change your status by clicking on Project Status button. 4. Project Status button helps you boost your Profile Ratings. Give the active feedback to your lancer, let him understand his strengths and shortcomings. Providing work for you can earn perk.